Due to being a super busy student I haven't had much time to eat proper meals at home so as a result I've been eating out quite often. 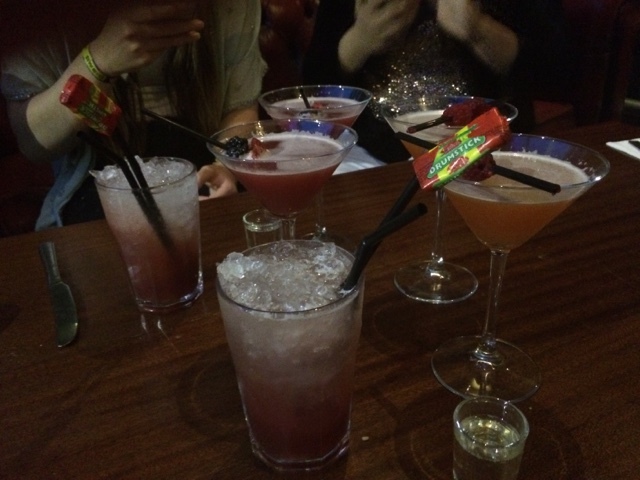 My favourite place was propably Fat Cat in Nottingham City Centre. rah, and the second time with the boyfriend. 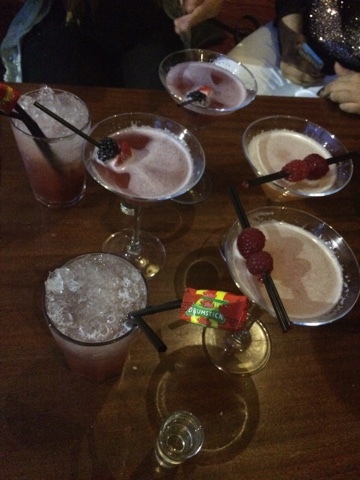 The first night we ordered a round of never ending cocktails/mocktails and a platter of nachos with jalapeños, guacamole, sour cream and salsa. They were so delicious that the second time I went with Kieran we ordered some too! 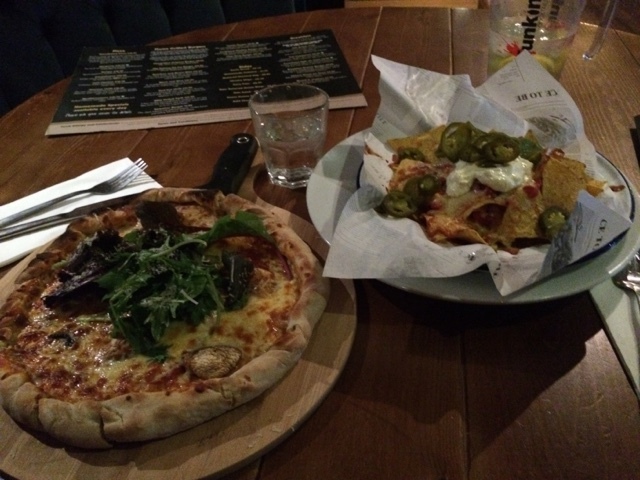 Me and my lovely went for a pizza to share and nachos to start off with. Of course the food was delicious as always, and I am planning on returning there very soon! Next up is one of my all time favourite restaurants - Zizi's. 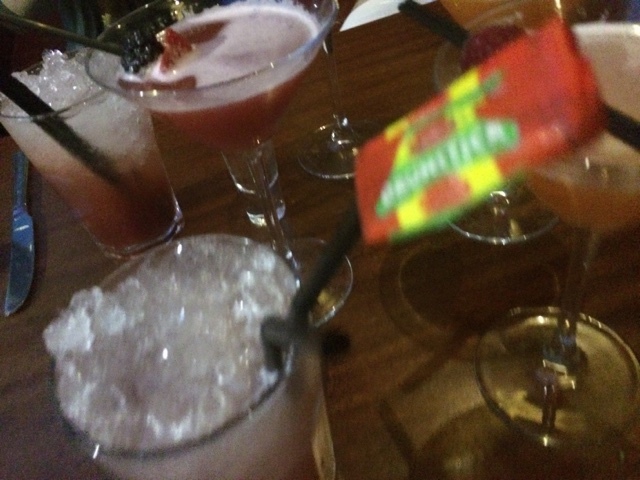 I love the food there, it is so rich and full of flavour and the staff always seem very friendly. I went there twice, once with my good friend Safina, and the second time with Kieran (we appreciate good grub). Me and Safina ordered a garlic bread platter which was to die for. 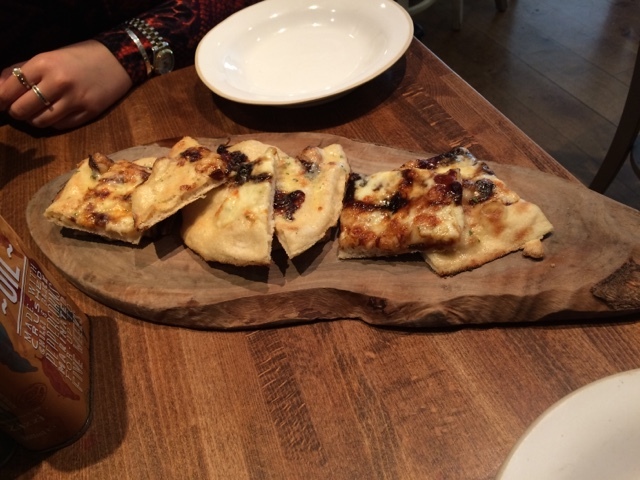 The sweetness of the caramelised onions contrasted very well with the bitterness of the flat bread and garlic. 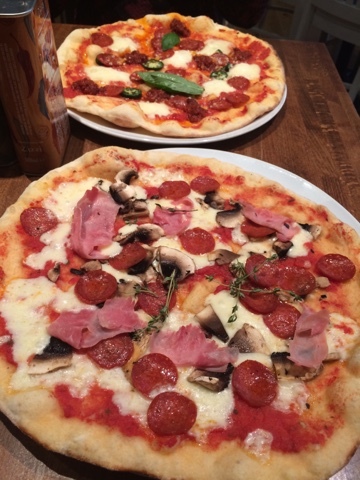 For our mains we chose a pizza each (obviously). It was crispy, full of toppings and it melted in our mouths with each bite. 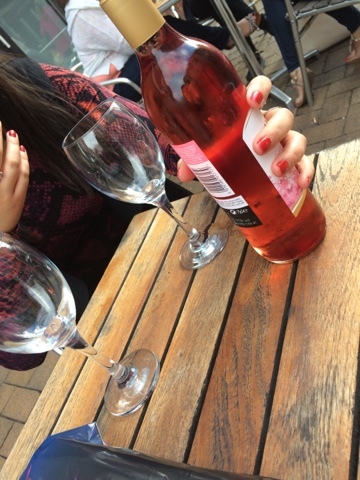 What other way to end our lunch date than to celebrate with a bottle of wine? 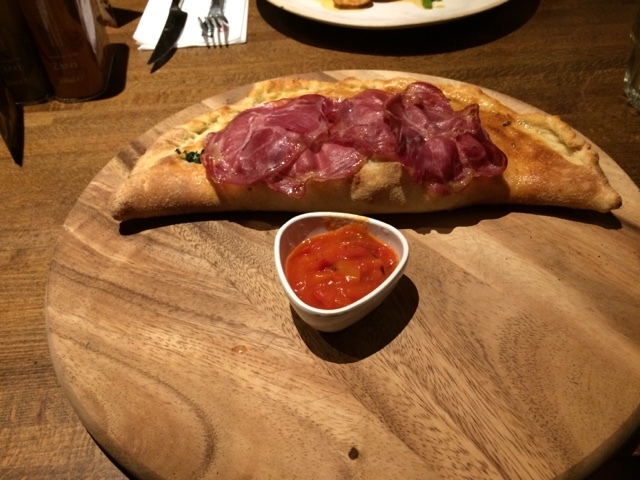 When me and my other half went to Zizi's in the evening for a lovely meal I chose a chicken, parma ham and spinach calzone which was out of this world. It was so yummy that I will definitely recommend it to any pizza lover. 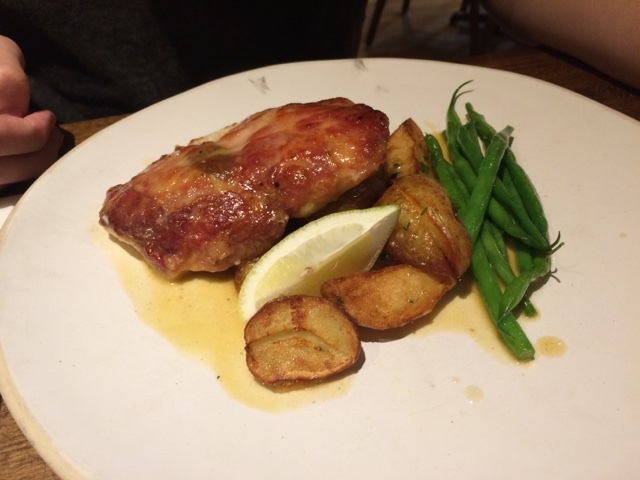 Kieran went for a bacon wrapped chicken kiev with roasted baby potatoes which according to him was also very delicious!! 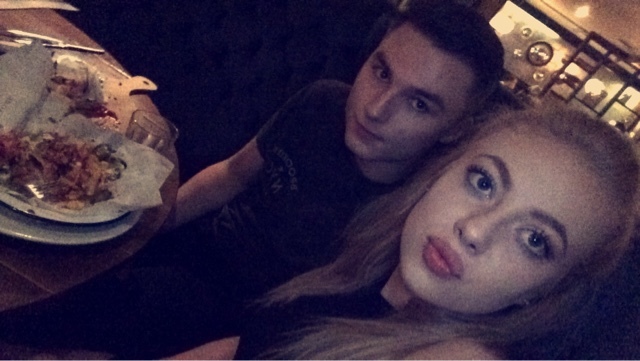 Another one of my favourite restaurants is Bella Italia and that's where I usually end up with, with my best friend Jess. The started was very small. 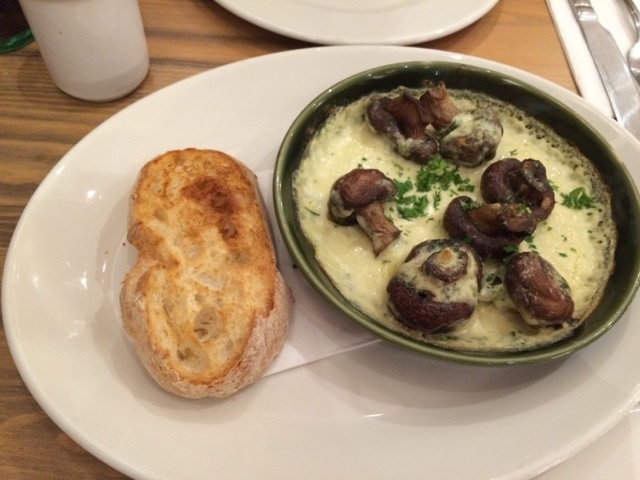 It was a selection of mushrooms covered in garlic with sour dough bread. There wasn't a lot of it however it was rather tasty. 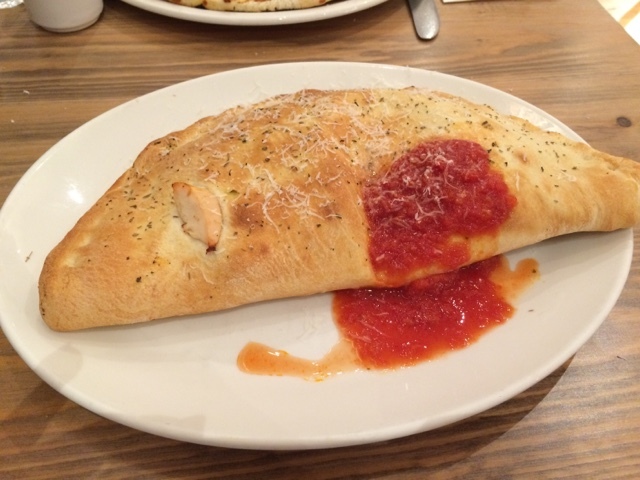 On the other hand, the calzone I went for wasn't the best. It was soggy and didn't have a lot of filling on the inside, bearing in mind there was a piece of chicken stuck on the outside of the crust and some tomato puree poured on top of it which made it taste odd and even more soggy than without it.. I wasn't impressed with the food this time and am hoping for a big improvement on my next visit. 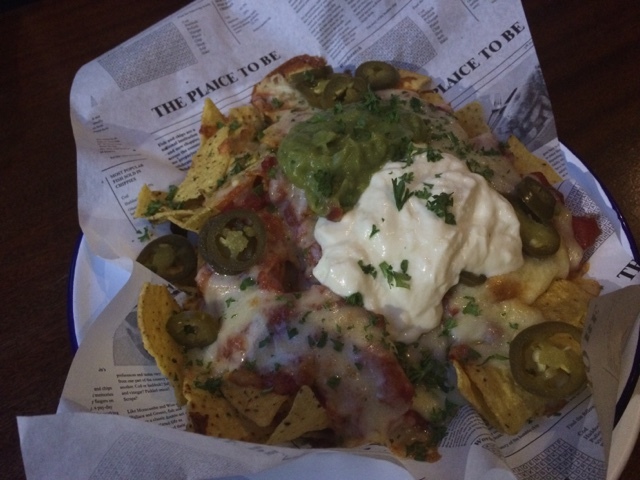 My most recent visit was to Chutney which is an Indian restaurant/takeaway. 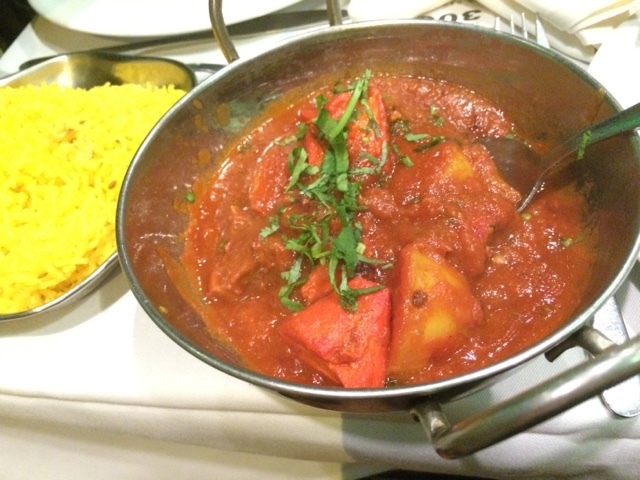 I chose the Tajj Mahal which was a mixture of beef, lamb and chicken with spicy potatoes. It was lovely, however I could not handle the spice for too long! 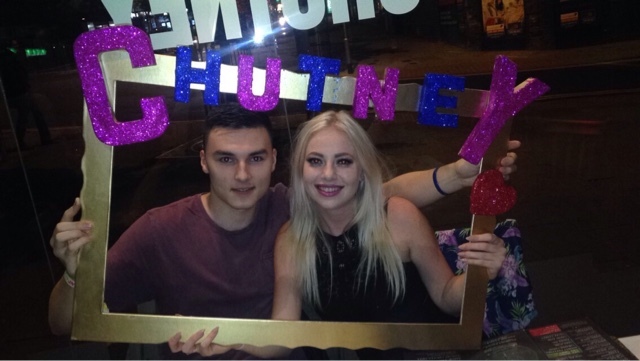 And here's a cute picture of me and Kieran promoting Chutney's charity event to raise money for Teenage Cancer Trust in the name of Brian and Musa. Have you guys been out anywhere nice recently? Any restaurant recommendations?